If you need a break from your Melrose Trading Post grind, consider this kooky little pop-up put on by Maiden Voyage Clothing Co. The Vanishing Trading Post will materialize on August 19 from 11 a.m.-5 p.m. and brings with it a retro sci-fi vibe; there will be a classic car drive in, doo-woppy live haircuts from Andy Miller, aka Railcar Barber Shop‘s “Singing Barber,” and Bags of Mystery (ooooh, ahhh) for the first 25 customers, plus stalls from locals like Stags and Does, A Shop Called Quest, and Wonderland Creations. Like any L.A. event worth its weight in salt, there will also be live music and food trucks. You can get in for free, but we dare you to try and get out without spending a dime. Think Take Gallery reopens its DTLA doors for this month-long “love/hate letter” to L.A. stereotypes (some false, many true). As the name suggests, there will be events that involve drinking (like the comedy show Brew Ha Ha), cannabis (420-friendly speed dating), and some that will be “dry as the Mojave desert,” per the organizers. Expect escape rooms, brunches hosted by Roscoe’s, and, art installations inspired by everything from the ’84 Olympics to the Lakers/Clippers rivalry to traffic to Koreatown liquor stores. Opening night is August 19. Are you one in a specific breed of masochists whose food can never be too spicy? Then take a solid shot at burning a hole through your tongue August 19 and 20 at the City National Grove of Anaheim, where you can partake in eating competitions with pleasant titles like the Chicken Death Wing Challenge, the Tacos from Hell Challenge, and the Spicy Pizza of Doom Challenge. If you’re feeling particularly stupid, eat as many Carolina Reapers (a terrifying pepper) as you can in an attempt to set a Guinness World Record. Because this whole event makes no sense, there will also be a Chihuahua beauty pageant with an $150 cash prize. If there’s one thing Angelenos love more than hot sauce, it’s obsessing over the historic O.J. Simpson saga. O.J. expert and creator of “The O.J. Tour” Adam Papagan has curated an exhibition dedicated to the sports star and alleged murderer at Chung King Road’s Coagula Curatorial (August 20-22). 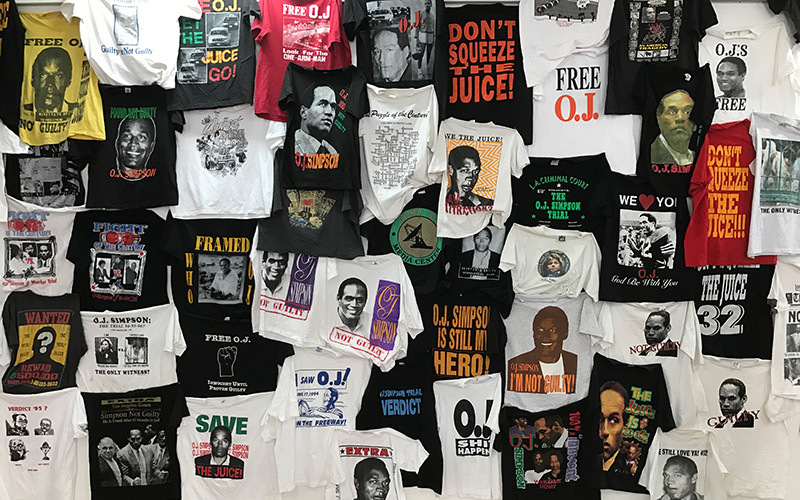 On display will be “artifacts dating to the time of the trial,” bootleg t-shirts, and even a 1994 Ford Bronco that Papagan purchased with the funds from a Kickstarter campaign. What started as a scrappy little fest seven years ago has since become L.A.’s biggest free musical smorgasbord, with more than 450 musicians, DJs, artists, etc. etc. set to show up between August 18 and August 20. TBH that’s aggressive and also overwhelming, so we’ve culled it down to the 10 acts you can’t miss (find those here)—this is your chance to get in on the ground floor with a band that’ll be selling out Staples Center in a few years. Next articleCan We Just Stop with the Whole Charcoal Food Thing Now?